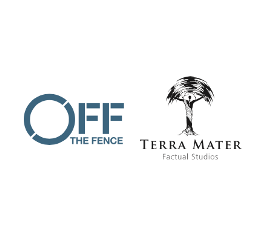 Terra Mater Factual Studios (TMFS), a subsidiary of Red Bull, and Off the Fence B.V. (OTF), a subsidiary of ZDF Enterprises, have agreed on a global, multi-year deal, which will see OTF distribute TMFS’ present and future TV catalogue. As of the 1st of April 2019, OTF will begin representing TMFS’ programming and showcase the multi-awarded portfolio for the first time at MipTV 2019 in Cannes, where the two companies will welcome their clients and partners at their adjacent booths. TMFS’ top factual programming highlights for MIPTV include ‘Whale Wisdom’, guided by four-time Emmy-award winning director Rick Rosenthal, jaw-dropping ‘Borneo – Earth’s ancient Isle’ about a place not like any others and ‘The Sun – Inferno in the Sky’, showing latest developments in solar research. The two factual content specialists share a similar vision and look forward to this groundbreaking partnership. Terra Mater Factual Studios are one of the major players in the business of nature film. The production company, located in Vienna/Austria, is well known for its high-quality factual programming in the core-genres of Nature, Science and History. Since its inception in 2011, TMFS has created a diverse portfolio of more than 180 hours, honored with approximately 250 international awards including Wildscreen’s Golden Panda, Jackson Hole Wildlife Film Festival’s Grand Teton, and New York Festivals’ Grand Award. In 2017, its feature doc ‘The Ivory Game’ was on the Academy of Motion Picture of Arts and Sciences’ Shortlist for the Oscars. TMFS’ latest coup was the prestigious Audience Award at Sundance Festival 2019 for its fresh feature doc ‘Sea of Shadows’. The highly experienced and dedicated team behind this success story is headed by Walter Köhler, CEO and founder of Terra Mater Factual Studios. Köhler’s and his colleagues’ commitment to amazing storytelling, visual excellence, technical innovation and social responsibility shows up in engaging films about our planet. Celebrating its 25th anniversary at MIPTV this year, based in Amsterdam (The Netherlands) and with a catalogue of over 6,500 hours of premium unscripted content, Off the Fence is one of the world’s leading distributors focusing exclusively on high-end factual productions. The company already counts globally-celebrated brands such as the Smithsonian Channel, We TV, Tangled Bank Studios, Arrow Media, BBC Studios, National Geographic Television, Vulcan Productions, NHU Africa, Bonne Pioche, Windfall Films, and Aquavision/Lion Mountain Television, among many others, as part of the content it distributes. The company also runs Bristol (UK) and Amsterdam (NL)-based production studios from which it has produced over 500 hours of content, which has gathered over 80 international awards. Finally, Off the Fence announced at Wild Screen 2018 that it would soon be launching the WaterBear Network (www.waterbear.com), the world’s first VOD platform dedicated to our future on this planet, an announcement that was briefly followed by a second one celebrating its acquisition by ZDF Enterprises at the start of 2019. TMFS and OTF productions share a common passion for high-end natural history, campaign-driven content, which spreads a message of conservation and aims to change audiences’ attitudes towards the natural world. Both companies acknowledge the need to show viewers the beauty of nature and highlight the urgency of saving life on our planet. “We immensely look forward to this partnership with our colleagues at Terra Mater Factual Studios on the marketing and distribution of their beautiful films. This collaborative bond and the high and consistent quality of TMFS’ output, paired with our commitment to offer the best service in the business, constitute a watershed. Terra Mater Factual Studios were founded January 1st, 2011 and are based in Vienna, Austria. The full-blown production unit is a subsidiary company of Red Bull and specializes in premium factual programming for TV, multimedia platforms and theatrical release. TMFS are committed to the highest production values regarding visual excellence, innovative technology and amazing storytelling. Core genres are nature, science and history presented in blue-chip primetime series and specials. The production company also brings together a wide array of genres and styles to create exciting new factual and entertainment formats. For the big screen, TMFS produce stories that are highly relevant and strongly rooted in reality: from the classical feature doc to wild drama, where nature plays the main role, further on to fiction films, where real stories are the matrix for our scripts. TMFS’ diverse portfolio contains more than 180 hours, honored with almost 250 international film festival awards and 300 nominations. In 2017, its feature doc ‘The Ivory Game’ was on the Academy of Motion Picture Arts and Sciences’ Shortlist for the Oscars. TMFS’ latest coup was the prestigious Audience Award at Sundance Festival 2019 for its fresh feature doc ‘Sea of Shadows’. TMFS collaborate with the best producers, cameramen and directors worldwide, who make TMFS productions a unique viewing experience by latest cutting-edge equipment, fascinating cinematography and unconventional editing. TMFS embrace state-of-the art recording technologies, from super-slow motion to super-time-lapse to reveal Nano-second events and processes normally invisible to the naked eye. Images generated by electron microscopes and computer animation explore the wonders of the microcosm. Special cameras turn night into day. Endoscopes and medical scanners take the viewers inside living organisms. And HDTV is enhanced by a new dimension – 4K at its best. All these ingredients are woven together by amazing storytellers, highlighting real-life-tales and using the dramatic narration dynamics of the feature film while upholding the principles of factual programming. As dedicated nature filmmakers, Terra Mater Factual Studios are aware of their responsibility to shed a light on fragile parts of the world, to give a voice to threatened species and to make a positive impact on our precious planet. TMFS’ credo: We need to be able to learn from the mistakes that were made, for our own sake and that of generations to come. Based in Amsterdam and wholly-owned by ZDF Enterprises, Off the Fence is one of the world’s leading factual distribution companies with a catalogue of over 6,500 hours of diverse programming across the Wildlife, Science, History, Travel, Crime, People & Culture and Lifestyle genres. With 25 years of experience, Off the Fence distributes high-quality programming to clients worldwide and has exclusive agreements with the Smithsonian Channel, We TV and also distributes its own content produced out of its Bristol and Amsterdam studios. Off the Fence Productions is an award-winning, producer of factual television and has created more than 500 hours of television content for a wide range of international broadcasters.